Are you looking to do something a little different with your vegetables? 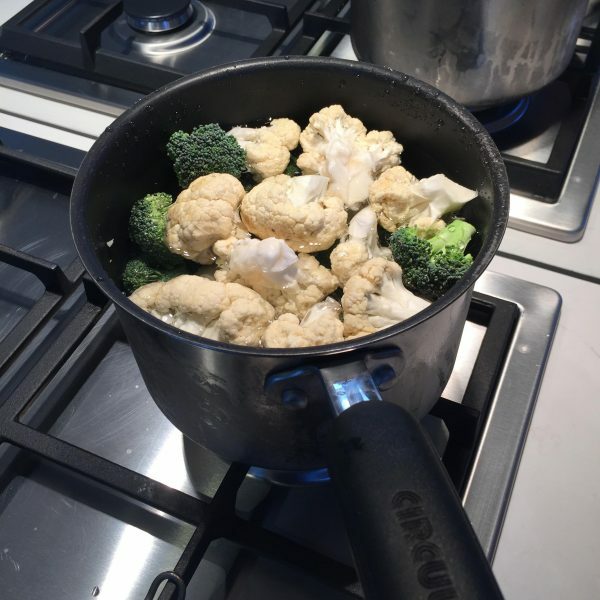 Do you want to entice your children to think more lovingly about cauliflower and broccoli? 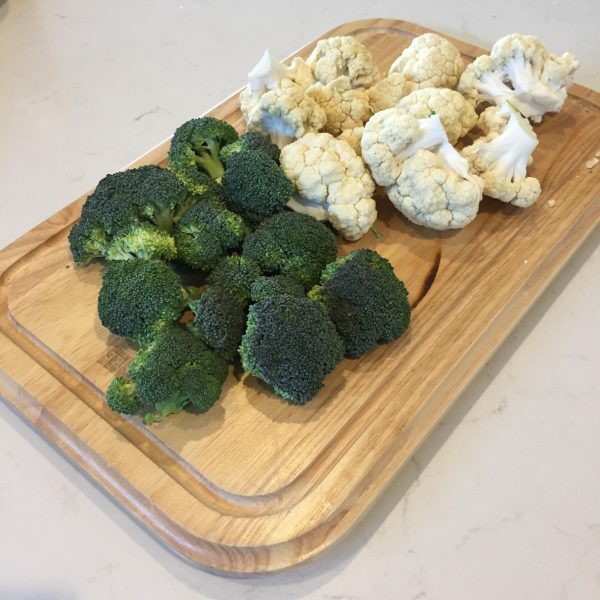 If you answered ‘yes’ to either of these questions, then this Cheesy Broccoli and Cauliflower recipe is for you. 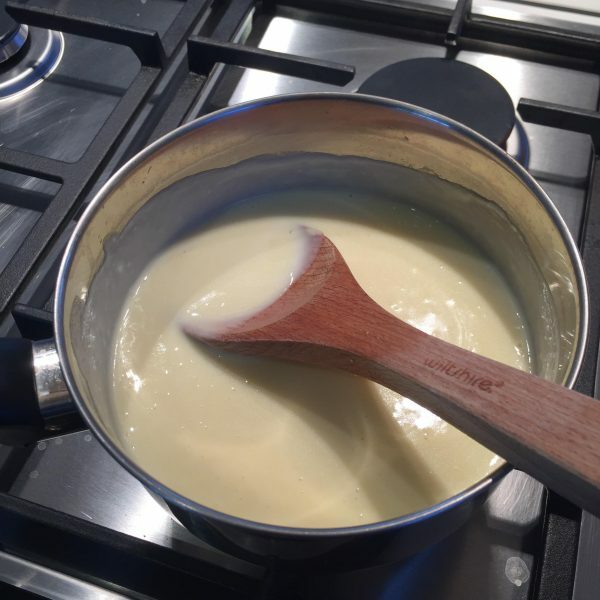 If you have a Thermomix and can whip up the bechamel sauce in seven minutes. Then you can skip half the recipe and go straight to the baking. Nonetheless, it’s always good to know the old-fashioned method. We generally do this side dish for special occasions when we have family over or just to change our meat and three vegetable meals up a bit. Steam or boil the florets for until slightly tender. 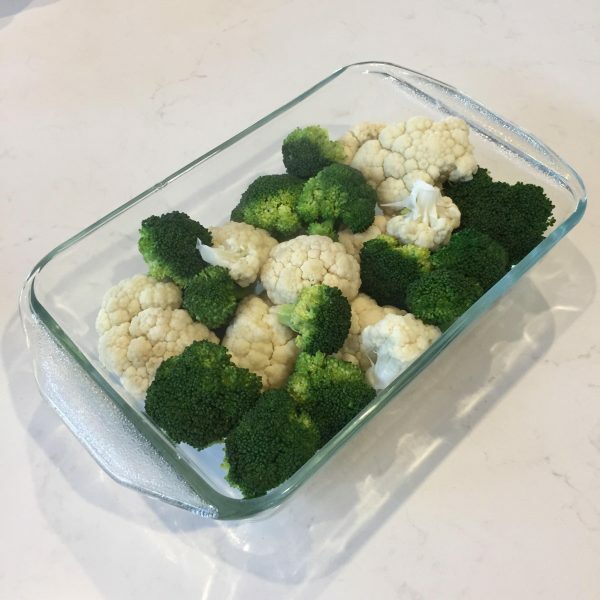 Drain florets if needed and place in a small rectangular dish. 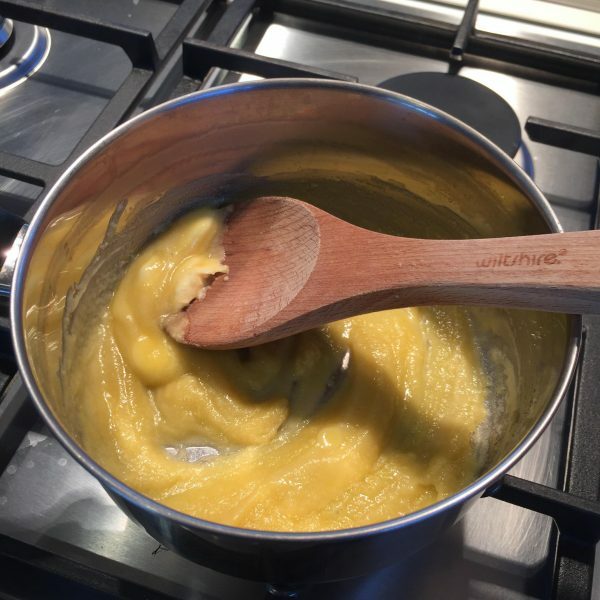 Place the butter and flour in a small saucepan and stir together on medium heat until it forms a cheesy looking paste. Add half a cup of the milk and stir until the sauce thickens again. This time the colour will be a little creamier. Repeat this process until all the milk has been mixed into the sauce. 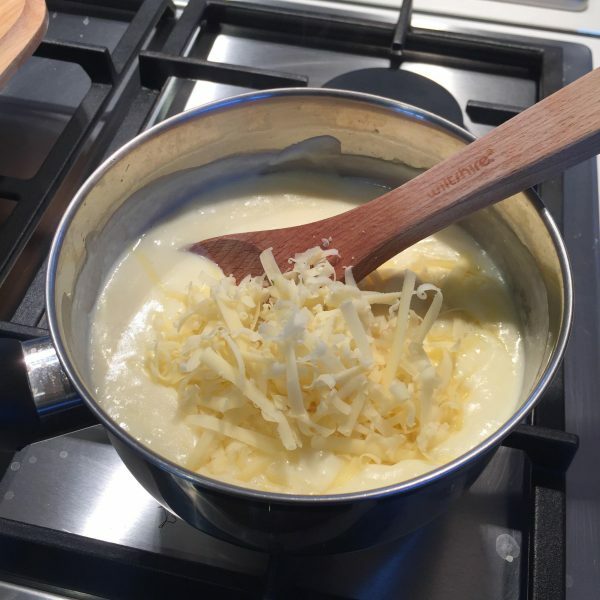 Turn the heat up slightly and when the sauce begins to bubble, add the grated cheese and stir it into the mixture. 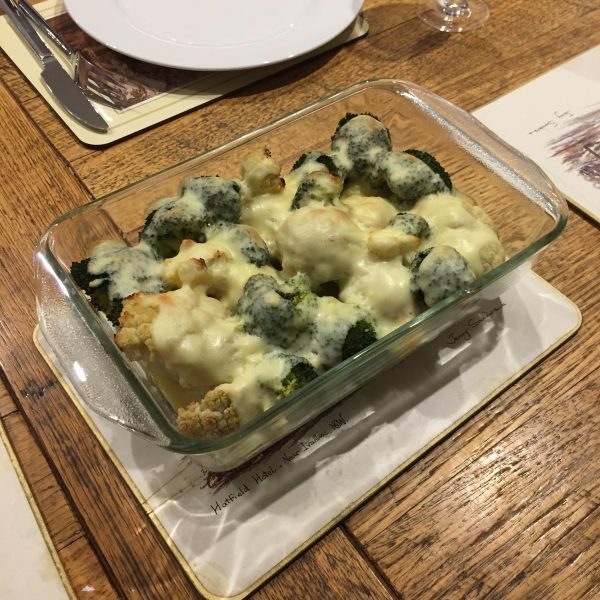 Pour the cheese sauce over the florets of broccoli and cauliflower in the dish. Try to cover all of it so as to lessen the chance of the vegetables burning when cooking. Place the dish in the oven and cook for twenty to thirty minutes. Serve as a delicious side for your main meal. 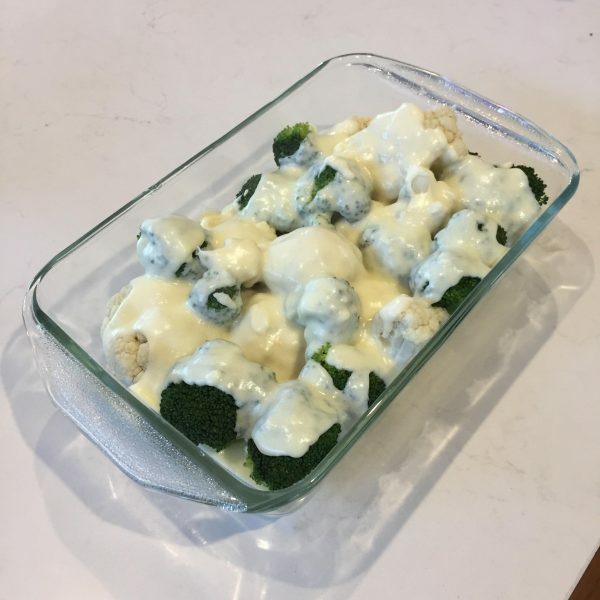 This entry was posted in Recipes and tagged Certified Organic, Family, Health, Organic, organic broccoli, organic cauliflower, Organic Foods, recipe, Vegetables.